The Classic Power Trio come to The Acorn with music from the world of classic blues/rock. 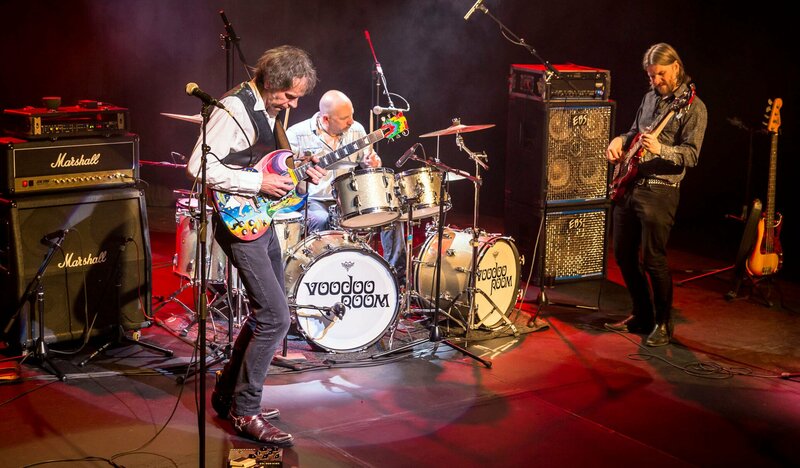 Voodoo Room are an exciting Classic Power Trio, paying tribute to the incredible music of Jimi Hendrix, Eric Clapton & Cream. Featuring some of the U.K.’s finest musicians, they perform a high energy, world-class show in total appreciation of these musical pioneers from the world of classic blues/rock! !